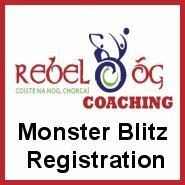 As part of the basic GAA Approved Foundation/Award 1 course each person must complete a “Child Protection Awareness Workshop” before they receive certification and its up to the club to provide this workshop for participants. This workshop is for the benefit of everyone involved in children’s sport (children, parents/guardians, sports leaders’, etc). It provides introductory information on codes of conduct, bullying, recruitment, etc. as well as child protection guidelines. A person appointed to the Club Children’s Officer position in a club must have completed the Child Welfare & Protection Basic Awareness workshop. This course will help the Club Children’s Officer to carry out the function of their role in the club and support the implementation of best practice in the club. The Introduction of Garda Vetting at National and Local level by An Cumann Lúthchleas Gael (GAA). Cumann Lúthchleas Gael is pleased to confirm the commencement of Garda Vetting in the Association as we promote best practice in the recruitment and selection of persons to work with children in the GAA. Step 1: A vetting applicant, i.e. an under age coach, mentor, manager etc. 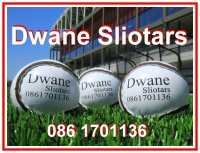 will receive a GAA Vetting Application Form from the Club’s Children’s Officer or from a nominated person in their club. This form has to be completed in full by the applicant and collected locally (in the club) or forwarded directly to a nominated person who will collate these forms at County level. Step 2:Forms are forwarded to a County Board nominated person who will only check forms for accuracy and will return incorrectly completed forms to applicants. The County Board nominated person will also record the name and address of each applicant on a ‘batch form’ and send this electronically to the National Children’s Officer in Croke Park. Step 3: All forms are then sent by secure post to the National Children’s Officer, GAA, Croke Park, Dublin 3. All forms must be sent to the National Children’s Officer (NCO) in Croke Park for processing and not to An Garda Síochána. The NCO will then process all correctly completed forms with the GCVU. Processed forms will on their return contain a statement that there are no convictions recorded against the individual in the Republic of Ireland or elsewhere, or a statement of all convictions and/or prosecutions, successful or not, pending or completed, in the State or elsewhere as the case may be. In most instances it is only convictions and/or prosecutions of a most serious nature and particularly against children/minors that MAY deem a person unsuitable to work with children in the GAA. Step 4: Following the processing of the vetting form it is the GAA National Children’s Officer who will inform each applicant individually by letter if their application is or is not being recommended for acceptance. Download a full copy of the GAA Code of Best Practice in Youth Sport. The GAA’s Alcohol and Substance Abuse Prevention (ASAP) programme, a joint initiative with the HSE, is a unique undertaking in the Irish sporting context. Its mission is simple: To promote healthy life-choices by reducing the harm caused by the misuse of alcohol and other drugs. GAA Tackling Bullying is a new training resource that the GAA developed in response to a growing awareness of the impact of bullying in society and particularly in sport.The programme consists of a two-hour training workshop suitable for Coaches, Parents, Players and other Club personnel and also includes a range of publicity materials for Clubs.The drafting and piloting phase of this programme has taken more than a year with 10 pilot workshops and a number of consultation meetings with underage players, parents and coaches.The two-hour programme may be run in tandem and complimentary to any other educational and or community anti-bullying initiatives and is suitable for delivery at both adult and under age levels.